If you’ve seen the trailer for Get Out, about a third of the way through, you’ll start worrying that the trailer has shown you the entire film. Don’t worry. It hasn’t. There are plenty of surprises and tense moments that haven’t been spoiled. Jordan Peele obviously knows his horror films. There’s a sense of unnerving tension running through the film that can only have come from someone steeped in the genre, who can play around with it and create something that feels original and unexpected. The image (as seen in the trailer) of characters smiling and crying is disconcerting and immediately iconic. Despite the controversy over his casting, Daniel Kaluuya is sensational in the lead role as Chris. Even among a generally strong cast, he stands out, giving an assured, layered and complex performance. He’s clearly been someone to watch since Psychoville, but this really marks him out as an actor who has no limits in his future. The trailer promised a smart and interesting horror movie. It actually underplays just how smart and interesting it actually is. There’s more packed into this tight, concise film than most seasons of TV manage. Every scene has the potential to play differently on a second viewing. And that’s before even beginning to explore the themes. By using what is, on the face of it, a slightly silly story, Peele is able to explore how white privilege can be a closed space, treating minorities as being equal on a very superficial level. More than anything else, there’s a sense of exhaustion with the status quo in the film — Chris’s interactions with his new girlfriend’s family and friends are, early on, cordial and almost pleasant. But they’re also always awkward, because they can’t not be about race. Even when seeming pleasant, the conversations are constantly about making clear that he’s different, with a different culture. And Chris’s smiling exhaustion with this ongoing conversation with white people is powerful and heart-breaking to see. But while Chris is exhausted, Peele is furious. There’s a deep and well-articulated anger that fuels Get Out, integrated smoothly into the entertainment. While there are genuine laughs throughout the movie, many of them have targets. And although it’s hardly surprising to see the police or the wealthy picked up on conscious or unconscious racism, it feels fresh for a filmmaker to avoid letting liberals off the hook as well. Many of the laughs are uncomfortable and a lot of them come from recognition, not much of which is flattering. It’s not perfect. The ending is strong, but it felt a little sudden. It was satisfying in some senses, but I would have welcomed another five or ten minutes — it felt like the movie warranted it. And there’s enough obvious product placement that it does begin to feel a bit like an earnest warning about what happens to people who use Microsoft Bing. However, these are also the trade-offs that allow lower-budget films to get made, so that’s more the nature of the beast than it is an issue that actually breaks anything. 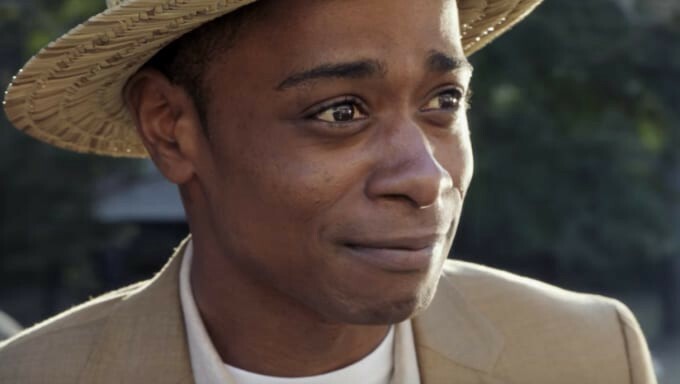 There’s plenty to unpack with Get Out, and one of the biggest pleasures is in how it’s going to reward multiple viewings with double-meanings, easter eggs and story-points that you didn’t spot the first time around. But the biggest compliment I can give Jordan Peele and the rest of the cast and crew is that they’ve created a way of talking about the subtlety of experiencing racism in society that’s immediately understandable and useful. So go see it. And once you’ve seen it, start talking about it. Because Get Out is a fun, smart thriller that’s worth talking about. And it’s got something to say that’s worth listening to.